In late October 2017, astronomers announced the first ever discovery of an asteroid (or comet?) coming into our Solar System from another stellar system. The object was first spotted on 19 October by the University of Hawaii’s Pan-STARRS telescope, during its nightly search for near-earth objects. Based on its extreme orbit and its rapid speed, it was soon determined that the object has come into our Solar System from somewhere else, and this makes it the first ever asteroid/comet with an extra-solar origin to have been discovered. Originally given the designation A/2017 U1, the International Astronomical Union (IAU) have now renamed it 1I/2017 U1, with the I standing for “interstellar”. The object, given the designation A/2017 U1, was deemed to be extra-solar in origin from an analysis of its motion. In addition to its strange trajectory, observations suggest that the object also has quite an unusual shape. It is very elongated, being ten times longer than it is wide. It is thought to be at least 400 metres long but only about 40 metres wide. This was determined by the rapid and dramatic changes in its brightness, which can only be explained by an elongated object tumbling rapidly. The object has also been given the name Oumuamua (pronounced oh MOO-uh MOO-uh), although this is not its official name (yet). This means “a messenger from afar arriving first” in Hawaiian. In other respects, it seems to be very much like asteroids found in our own Solar System, and is the confirmation of what astronomers have long suspected, that small objects which formed around other stars can end up wandering through space, not attached to any particular stellar system. To read more about this fascinating object, follow this link. Can the Lions roar in New Zealand? Tomorrow morning (Disunited Kingdom and Namibian time) the British & Irish Lions will play the 1st Test of their 2017 tour against New Zealand’s All Blacks. It is a much anticipated match, one of the most important in which most of the players will take part. 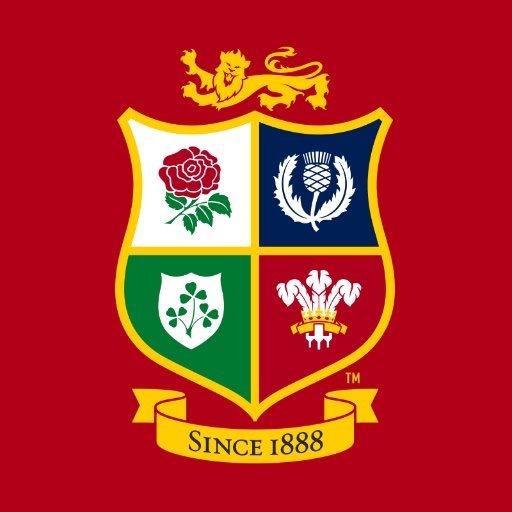 My first rugby memory is of the 1971 Lions tour of NZ, the only time that the Lions have won a Test series there. Of course, as a 7-year old I did not realise that the 1971 tour was, and would remain, so historic. I didn’t say that I was witnessing history, as live TV of sporting events occurring on the other side of the world did not exist in 1971. At least, not for rugby. So we listened live on the radio, at 4am (as matches were played mid-afternoon local time). Later in the day, highlights would be shown on TV, which we also watched even though we knew the score. The “we” were myself, my two sisters and my parents. My father gave us no choice in whether we were woken up to listen to the Test matches in 1971; refusal was not an option. The 1971 tour remains burned in the minds of so many rugby fans, and not just supportes of the Lions but those of the All Blacks too. Many Kiwis of my age will tell you that their rugby heroes were Barry John, Gareth Edwards, Gerald Davies or J.P.R. Williams, not the men who represented New Zealand at that time. This 2017 tour is not only a chance to get that second series win, It is also a chance for Kiwi Warren Gatland to put one over on his native country and put himself at the head of the list to succeed Steve Hansen as the next All Blacks’ coach. Here is the team chosen for the 1st Test. To many people’s surprise, Leigh Halfpenny and George North have not been included. Gatland and his coaching team have, instead, gone with a far more attacking back three. The other major talking point is Allan Wyn Jones’ inclusion ahead of Maro Itoje, but I’m not surprised by this. Although Itoje has been in great form, Alun Wyn is one of the most experienced and best locks in World rugby. Tour captain Sam Warburton had pretty much declared himself out of contention to start the 1st Test, feeling that he’s not yet fit enough. If the Lions can win the 1st Test then it will be a huge result. Not only will it make winning the 3-Test series a real possibility, but it will also be the first time that the All Blacks have lost at Eden Park since 1994! A loss by the All Blacks would send shockwaves through New Zealand rugby. The Lions need no greater motivation to play the game of their lives. Tonight (Friday 10th March), Wales take on Ireland in Cardiff in the 2017 6 Nations clash. It is the first match of the penultimate weekend of this year’s 6 Nations, and a Friday evening clash in Cardiff usually has a special atmosphere. Wales have lost two matches from three, with their heavy defeat at Murrayfield two weekends ago still being picked over by the rugby media and pundits in Wales. This means that we are out of contention for this year’s 6 Nations title, but there is more than pride at stake. The 2019 World Cup draw will be made in the next few months, and if Wales do not win at least one of their remaining two matches in the 6 Nations they risk dropping out of the top 8 in the World rankings. This means that they will be drawn in the same group as two higher ranked teams, with one team from the top 4 and the second team from 5-8. This was the situation we faced in the 2015 World Cup, being drawn in the same group as Australia and England. This has left Welsh interim-coach Rob Howley with a difficult decision to make. There have been calls for him to try starting players like Sam Davies at outside half, with the 6 Nations title now out of reach. But, we cannot afford to lose either of our two remaining matches because of the World Cup draw. So, despite most people in Wales calling for some changes to the starting 15, Howley has decided to keep exactly the same 23 as he did against Scotland, with the same starting 15 too. Wales take on Ireland this evening in Cardiff. Wales will be looking to salvage a very poor 2017 6 Nations campaign. Ireland, on the other hand, are still in with a chance of the 6 Nations title. Win in Cardiff tonight and it will come down to a probable title-decider against England at home in Dublin on Saturday the 18th. Based on their performances in their 3 matches so far, I think Ireland will be too good for Wales. Of course I want to see a Wales victory, but unfortunately I think Ireland are going to win. Whoever wins, it should be a very exciting match. The 3rd weekend of the 2017 6 Nations saw home victories in all three matches. Scotland beat Wales at Murrayfield, Ireland beat France in Dublin, and England beat Italy at Twickenham. Scotland beat Wales for the first time since 2007, with a well-deserved win that saw them score 20 unanswered points in the 2nd half. Wales went into half-time with a slim 13-9 lead. It could have been more, with Wales missing a chance to go 16-6 up with only a few minutes left of the first half. Instead, Scotland scored a penalty just before half-time and instead of 16-6 it was 13-9. If ever there was a game of two halves this was it. The second half saw Scotland score 20 unanswered points, including two well deserved tries. It is true that Wales did have their chances to score points in the 2nd half, but Scotland were by far the better team after the break and fully deserved their victory over a largely ineffective Welsh team. Scotland beat Wales 29-13 in a well-deserved victory, their first win over Wales since 2007. Whereas the Scottish team took their chances, Wales were unable to come away with points when they were in the Scottish 22. It was a poor performance by Wales, but also a very good one by Scotland. After being uncompetitive for most of the last 10 years, it is good to see Scotland back mixing it with the other countries in the 6 Nations. This was a cracker of a match. For a neutral, it had everything. Ireland went into half-time with a narrow 7-6 lead, and it was not clear well into the second half who was going to win this keenly contested match. In the end the better play of Irish half-backs Connor Murray and Johnny Sexton proved decisive, Ireland emerging victorious 19-9. With first Ireland, and then France, being the last two sides that Wales will face, the performance of both teams in this match does not bode well for Wales’ chances of winning either match, in my opinion. I have not seen this match, but am looking forward to seeing the highlights, mainly for the tactics which Italy adopted. By not committing any men to the breakdown, they avoided any rucks forming and thus the off-side line which normally exists did not apply. This allowed them to have men standing between the English backs, completely disrupting the game that England hoped to play. In fact, so effective was this tactic that Italy were 10-5 ahead at half-time. It is, apparently, only in the second half that England got to grips with this novel tactic, and eventually ran away to win 36-15. The 6 Nations now has another brief hiatus, before the next round of matches in just under two weeks. Ireland come to Cardiff to play Wales on Friday evening (10th March), then on the Saturday Italy take on France before the big game of the weekend, England v Scotland. Not only is this for the Calcutta Cup, but both countries are going for the Triple Crown. It will be the first time in probably some 20 years that Scotland will go to Twickenham with even the slightest hope of winning. Based on our performance against Scotland, I cannot see Wales beating Ireland, which leaves us with the real possibility of finishing the 2017 6 Nations with only one win. Quite where this will leave the Welsh team and management is a good question, but it is clear from our performances this season that Wales have not developed the creativity in attack which is needed to win matches. Scotland showed us how it should be done; all we could do was look on and marvel at how much they have developed and how much we have regressed. The second weekend of the 2017 6 Nations is over, and I think it is fair to say that this year is on course to be one of the most exciting 6 Nations in history. After Ireland running rampant in Italy, England narrowly beat Wales in Cardiff by scoring a converted try in the last 4 minutes, and France narrowly beat Scotland in Paris. It seems that 5 of the 6 nations are pretty evenly matched, so most of the games look like they could be very close. Ireland went to Rome seeking to make amends for their loss last week to Scotland. They won comfortably by 63 points to 10, running in 9 tries. Italy were woeful, not to take anything away from Ireland, and it has re-opened the debate as to whether Italy deserve to be in the 6 Nations at all. An idea which has been floating around for a while is that there should be relegation from the 6 Nations, with the second tier European countries like Romania and Georgia in a play-off against the bottom placed country in the 6 Nations table to see who should make up the sixth place the following year. But, one needs to bear in mind that, when France joined the then 4 Nations to make the 5 Nations (back in 1910) they barely won any matches for well over a decade. Their initial record in the 5 Nations was worse that Italy’s current record in the 6 Nations, but they went on to be one of the best teams in the world. So, in my opinion we should give Italy more time to bring their rugby up to speed, not expel them yet. This was, for most people, the big game of the weekend. Wales and England have been playing each other since 1881, and had played each other a total of 129 times prior to this weekend. With the record at 60 wins to England, 57 to Wales and 12 drawn matches, long-term they could not be more evenly matched. It was a cracking match; at no point were the two sides more than 5 points apart, and the ferocity and competitiveness on display was something to behold. This was the best Welsh performance since beating England in the world cup in September 2014. And, it is a match that Wales could have won and should have won. At half time we were 13-8 up, and between 50 and 75 minutes we were, in my opinion, by far the better side. England looked rattled, and at 74 minutes the score was 16-14 to Wales. With England threatening the Welsh try line, Dan Biggar made a superb interception and broke up field. Isolated, he kicked ahead and a desparate English defence kicked it into touch, giving Wales an attacking line-out in the English 22. But, we fluffed it, and this for me was the incident which lost us the match. With only 5 minutes on the clock, we could have won the line-out, and played out the remaining 5 minutes in England’s 22, or even gone for a drop goal. But, instead, we found ourselves back under pressure near our own try line. The ball came back to centre Jonathan Davies, who kicked up-field. But, rather than kicking into touch, he kicked in-field, something the Welsh team had been doing all afternoon. It was a crazy decision; he should have belted it into the stands and given the Welsh forwards as much time as possible to slow the game down and regain their breath for the line-out. Instead, George Ford caught Davies’ in-field kick, passed it to Owen Farrell who spun a long pass to winger Elliot Daly. Daly outclassed a poor Alex Cuthbert to score in the corner, and Farrell slotted the conversion to rub salt into the wound. We went from being in control and 16-14 ahead to losing 21-16. Wales lost to England 21-16 in Cardiff, with England snatching a try with only 4 minutes left on the clock to break Welsh hearts. As I say, in my opinion not only were Wales the better team, but it is a match that we lost rather than England winning it. Poor decision making, particularly in the last 5 minutes, cost us what would have been a memorable win over a very good England team. On the plus side, it was the closest this England team under Eddie Jones has been pushed during his 14 months in charge. And, Wales are finally beginning to develop their game beyond the Warren-ball of the last too many years. I hope we can back it up by winning in Scotland in two weeks’ time. This was another close fought match, with France sneaking it 22-16. Scotland had their chances, and they are a much improved side. They have so many good back-line players that they look dangerous from anywhere on the field, and it is great to see them so competitive again. They are going to be a tough prospect for Wales in what is our next game. The 6 Nations now takes a slight hiatus; the next round of matches are in a fortnight’s time rather than this coming weekend. On Saturday 25th February, Wales head up to Murrayfield to take on Scotland, with the KO at 14:25. The second match of the day is Ireland at home to France, KO is 16:50. On Sunday 26th, England host Italy at Twickenham, with the KO at 15:00. I will preview these matches closer to the time. Later today Wales take on England in the 2017 6 Nations. Unfortunately for Wales, this is only our second game of the championships, and I don’t think we are up to speed yet. Yes, we won convincingly in Italy last Sunday, but our first half display showed many of our weaknesses. England, on the other hand, battled to a win against France, and with only 10 minutes to go they looked like they would lose. So, which side will be better prepared for today’s clash? Wales have two injury worries to deal with. Both Dan Biggar (outside-half) and George North (wing) suffered injuries against Italy. 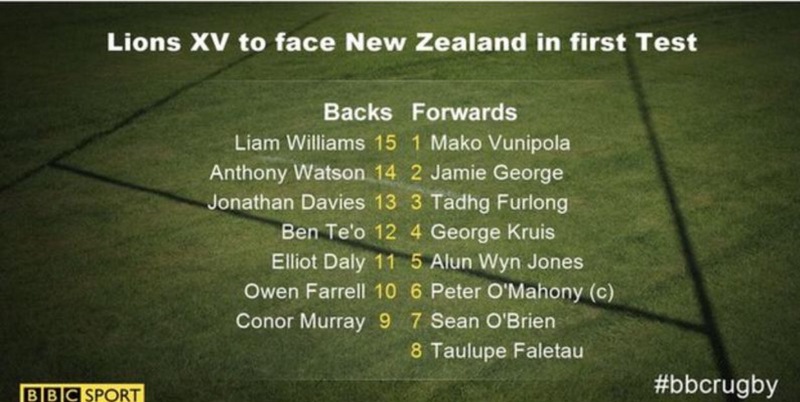 They have been named in the starting 15, but Rob Howley may find that they fail final fitness tests and do not play. Should Dan Biggar not start, then Sam Davies will start in his place. Davies is a more attacking outside-half than Biggar, and personally I think that he gets the backline moving better. But, if Biggar is fit I would prefer to see him start, with Davies coming on at about 60 minutes as the game opens up for the last quarter. Both Dan Biggar and George North are doubts for today’s clash with England. They have been named in the starting 15, but both suffered injuries against Italy last Sunday. The other impact player which Wales will hope to bring on during the last quarter is our outstanding number 8 Taulupe Faletau. He has been injured, so has not played much rugby in the last few months. But, I am sure that he has kept himself fit enough to put in a barn-storming 20 minutes and I’m in no doubt that he will be brought on as impact replacement. England have only won two of their last seven visits to Cardiff, so their coach Eddie Jones will be doing all he can to tell his players that they should not fear the Millennium Stadium. But, if you have ever been to this cathedral of rugby you will know that it is intimidating. England have opted to leave the roof open, which does reduce the noise in the stadium somewhat. But, with 74,500 supporters, most of them shouting for Wales, do not underestimate how intimidating that will be for England. And, with England unbeaten under Eddie Jones, there is nothing Wales would like more than to be the first country to break this winning streak. Beating England is not the be-all and end-all of Welsh rugby, but it is very sweet when we do beat our larger, noisier neighbour. DERE ‘MLAEN CYMRU!!!! / COME ON WALES!!!! On Monday (6th February) the sad news was announced that the great South African scrum-half Joost van der Westhuizen (JVD) had died at the age of 45. In 2011 JVD was diagnosed with motor neurone disease. Over the next few years he did much to raise awareness of and money to conduct research into this cruel disease; showing the same fighting spirit which led to his being one of the true greats of rugby of any era. Joost van der Westhuizen was one of the greats of world rugby. In 2011 he was diagnosed with motor neurone disease. He died on Monday (6th February) at the age of 45. I heard it said this week that JVD was the first muscular scrum half and the first large scrum half (a position traditionally played by smaller men). I would disagree with both of these statements. I grew up watching Gareth Edwards, often considered the greatest Welsh rugby player, who was a strong, muscular and dynamic scrum half. The only thing he lacked was height, but in the early 1980s Terry Holmes played for Wales, and he was 1m87, the same height as JVD. So, I would not agree that JVD was the first muscular scrum half or the first scrum half who was as large as a back-row forward. It is sometimes easy when someone has died far too early to overstate their greatness. But, JVD was a great scrum half, there is no denying that. He was an inspiration to his team, and someone that other teams feared. In the 1995 World Cup, he was the first player to successfully tackle Jona Lomu, who had run rampant through every team against which the All Blacks had played. RIP Joost van der Westhuizen.